Robust empirical findings, anecdotal case reports, and theoretical reviews are quite kind to CBT spectrum approaches with youth experiencing psychological difficulties. Perhaps, the science and practicality explain the fondness many working clinicians express for the treatment paradigm. While numerous practitioners identify with the clinical model, data suggest far too many therapists misapply the procedures. This workshop emphasizes embedding the multitudinous procedures in CBT’s phenomenological origins and applying the techniques in a real and relevant manner. Attendees will learn both traditional and innovative psychoeducational, target monitoring, behavioral, and cognitive interventions. Special emphasis will be placed on crafting impactful behavioral experiments. Original webcast date: March 15, 2019. Recognize how CBT’s phenomenological approach enables effective treatment engagement strategies. Acquire 7-10 experiential CBT techniques that propel therapeutic momentum. Acquire 7-10 procedures for behavioral experiments with young patients and their families. 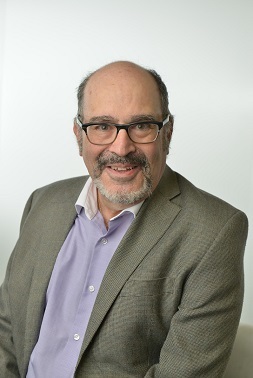 Dr. Friedberg is Head of the Child Emphasis Area at Palo Alto University and a Board-Certified Diplomate (ABPP) in CBT. Additionally, he is a Fellow of the APA (Clinical Child Psychology) and the Association for Behavioral and Cognitive Therapy. He has received teaching awards from Wright State University, Penn State University Milton Hershey Center, and the Spotlight on Mentor award (ABCT). He is the co-author of eight books including Clinical Practice of Cognitive Therapy with Children and Adolescents as well as many workshops, presentations, journal articles, and book chapters.